The IARS International Institute hosted a 6-day CPD accredited training event on 24- 29 April 2017, in London, UK. 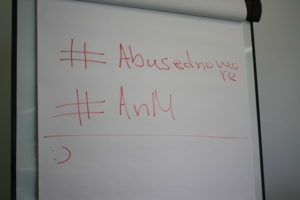 The event entitled “Abused No More: Safeguarding Youth and Empowering Professionals” aimed at strengthening the skills and competencies of youth professionals working with marginalised young people especially those who are facing exclusion and discrimination due to gender based abuse or their cultural background. After an introductory session on the entire 6 day event by the project’s coordinator Dr. Theo Gavrielides, the event begun with presentations from the IARS. 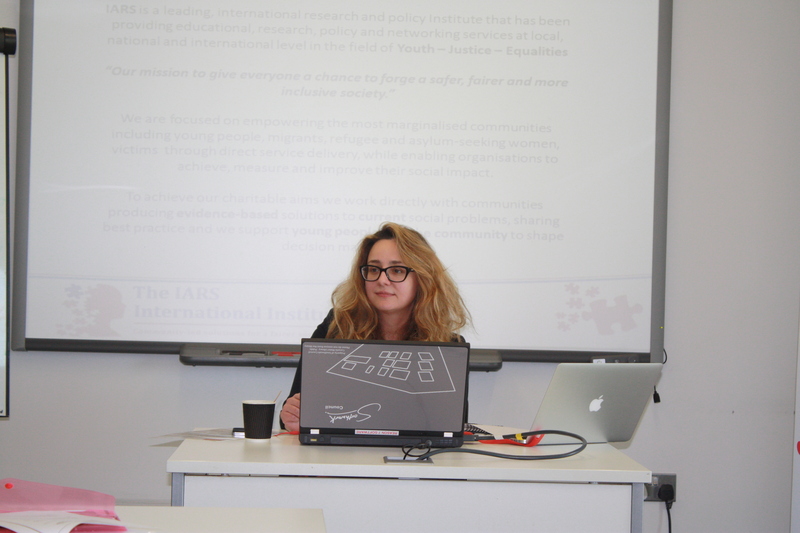 A brief description of the various projects carried out by the IARS was given by Andriana, IARS Communications and Youth Projects Manager which was followed by a detailed explanation on the functioning and working of the Youth Advisory Board of IARS, which remains at the core of the Institute’s functioning. 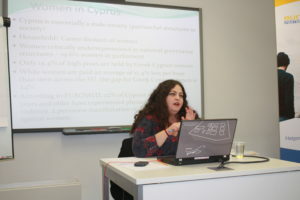 Later she presented the findings of the project Abused No More, UK. The three issues targeted in UK were Female Genital Mutilation (FGM) , Honour Based Violence (HBV) and Forced Marriage, and the findings indicated Public Legal Education (PLE) as a potential empowerment tool for young Black, Asian and Minority Ethnic (BAME) women affected or at risk to be exposed in such situations. The next presentation was given my Rosa on the working of the Women Advisory Board (WAB) wing of the IARS. 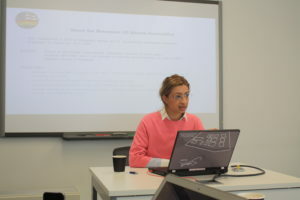 She talked about the formation of this body and how the members of it are empowered to conduct research and contribute to the IARS led projects. 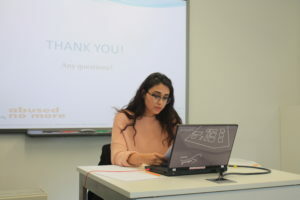 She presented two videos which were recorded by migrant women unveiling the hardships and cruel realities they have to face in their every day lives. This session covered the challenge of obtaining citizenship as a second generation migrant, it is only after reaching the age 18 that they can apply and only have a 12 month period. If this is missed then they have to follow usual procedure reserved for migrants. This is irrespective of the fact they were born, brought up, educated in Italy and speak and identify as Italian. Daniela shared video interviews she had filmed with her father and other young migrants. All were in agreement that the law should be changed so that those who are born in Italy automatically acquire citizenship if their parents are legally entitled to stay and work in Italy. Muslims only represent 4% of the population, there is a misguided perception that it is far higher than this. 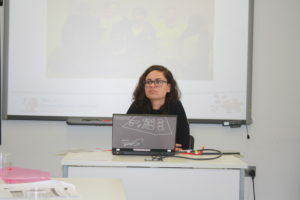 Asmae spoke of the work GMI are doing to give a voice to young Muslims that is included in Italian society. 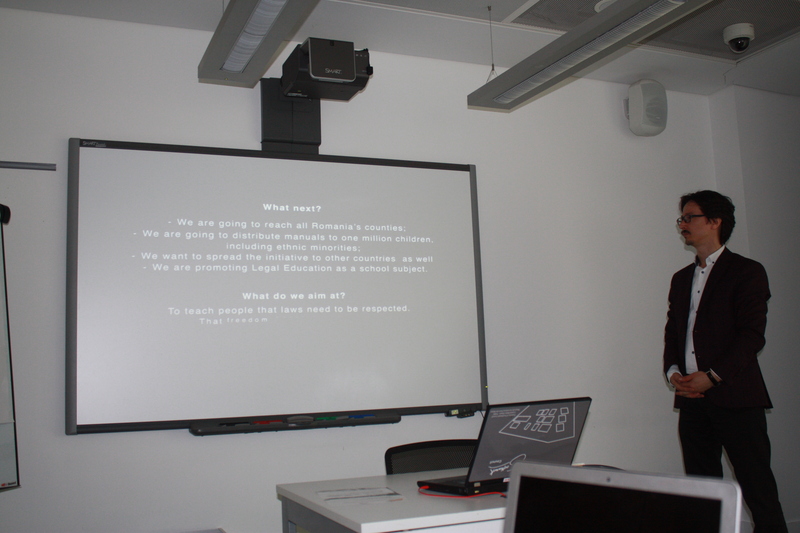 Through events, activities and visits to schools GMI also work to educate and tackle stereotypes. This session covered the issue of Mafia in Italy and how the spread of legal education can provide a long term strategy to tackle this. 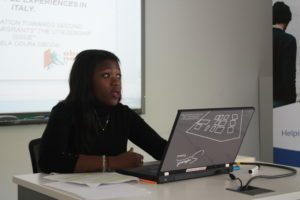 She identified several organisations who are working on youth-led projects to fight against organised crime. The Mafia presents not just an Italian issue but a European problem. 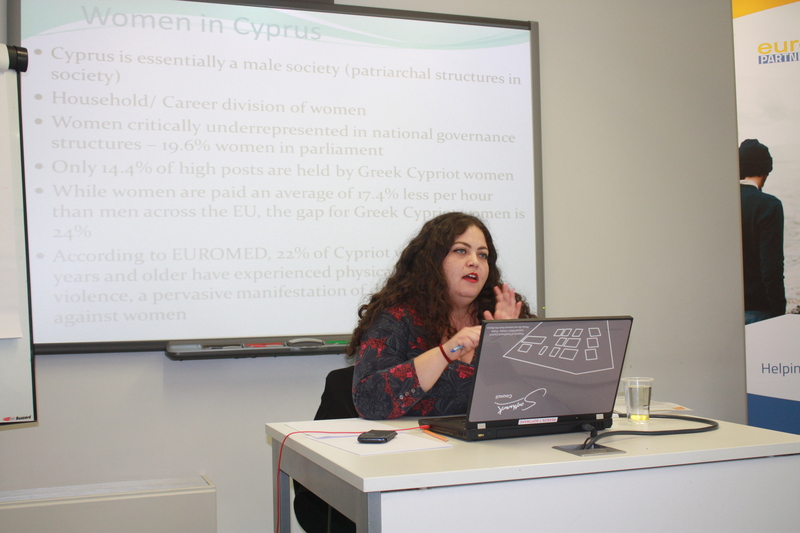 This session gave a backdrop to the situation in Cyprus and the research that had been conducted by the Abused No More project on intersectional and migrant discrimination, with a focus on gender based violence. The session discussed the awful condition migrants often live in and how they struggle to get access to services (they are obliged to pay for private healthcare). The existence of institutional racism reinforces the idea that migrants don’t have rights and can be taken advantage of, something that is further spread by the media. Andrea, a young migrant in Cyprus talked about her personal experiences of discrimination as a first generation migrant from Romania. 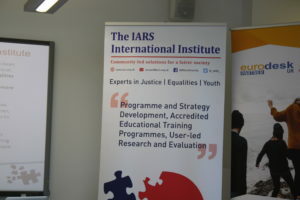 The partners had the opportunity to participate to the 5th Annual IARS International Conference on young carers. 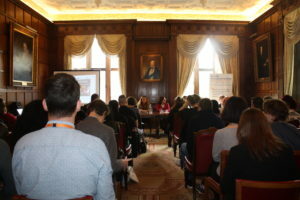 The conference was organised within the framework of Erasmus+ (KA2) and highlighted the research findings of the 2-year youth-led project Care2Work that explored the needs, challenges and opportunities of young BAME carers in their transition to responsible adulthood and their fair access to employment, education and training. More information can be found here. 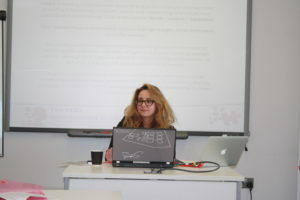 Presented the Abused No More research from Romania, although there are no reported cases of discrimination against migrant women RAS fieldwork found that 1/3 have experienced some form of discrimination. 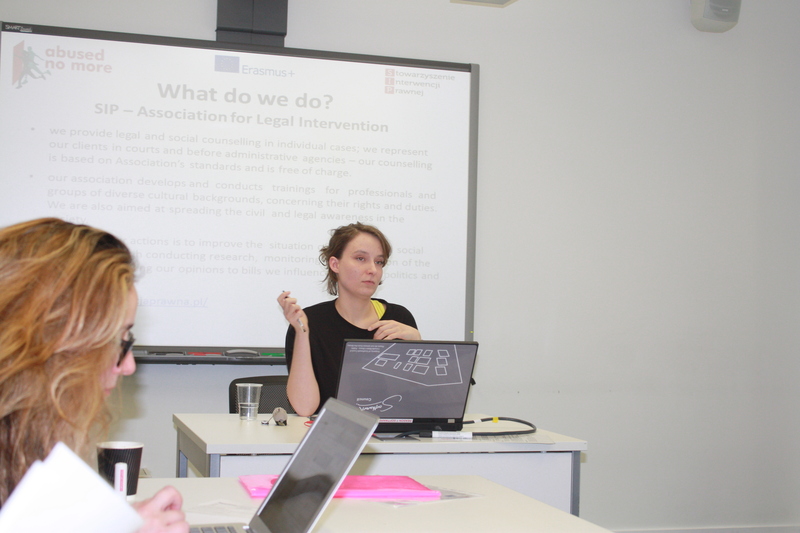 Ionela pointed to discrimination that is imbedded in institutions e.g. school inspectorates and employment agencies. 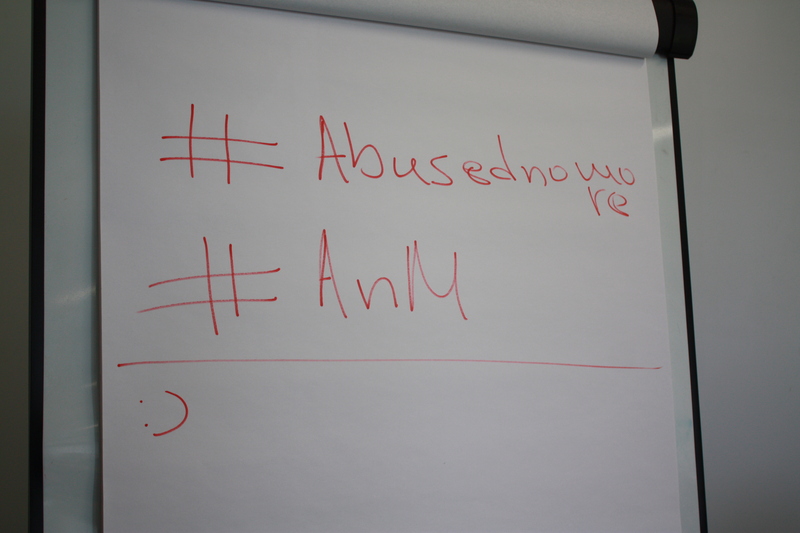 In Romania it has fallen to NGOs, since there is a lack of action from the government, to tackle this discrimination and help provide access to services. Recommendations include the need to educate locals at a grassroots level to target the issues as they happen. By educating professionals to understand cultural sensitivity they can better support migrants. It was pointed out that there are so many similarities between the situation in Romania, Cyprus and Italy. Romania perhaps has the best legislation but this is not being transferred into good practice. It was discussed by the group that Cristis model is an example of PLE that could be extended across Europe. 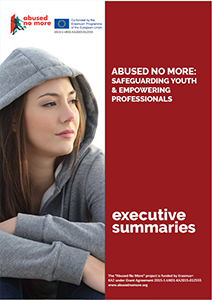 Ela outlined the Abused No More research and recommendations from Poland. 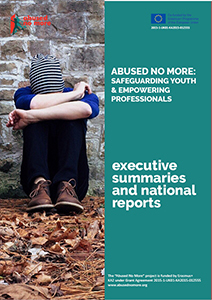 The primary recommendation being the use of new ideas and tools to help young people and professionals recognise and deal with discrimination. 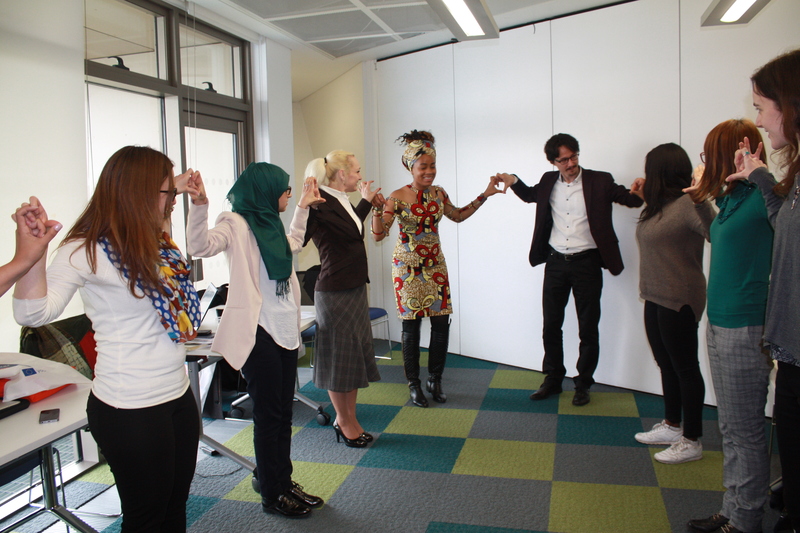 Applied drama works to create a safe space to try new solutions and practice different behaviour and acts as “a bridge between reality and fiction”.